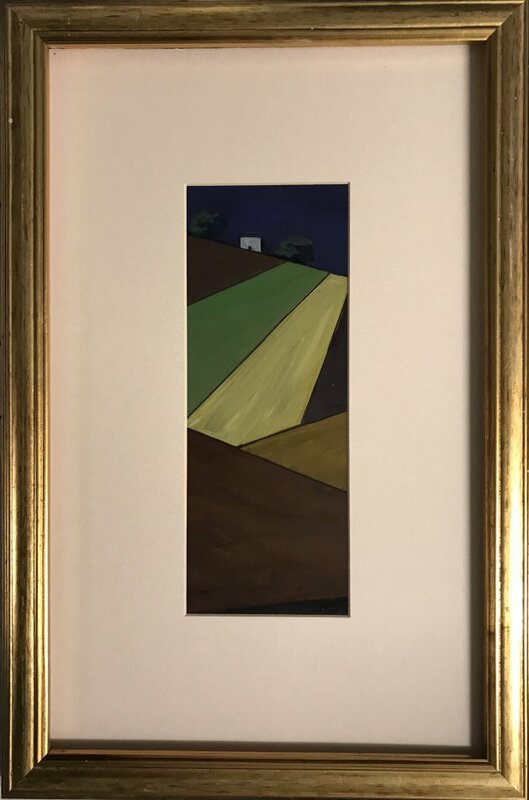 Pastoral - Fields of England An original oil painting on board within a cream mount and gilt frame, under glass. Signed by Sarah Gill. A semi abstract view across a tapestry of English fields in autumn. Overall dimension including the frame measures 11 x 16 inches. The actual artwork within the mount measures 3.5 x 9 inches.